Asbestos Management, Refurbishment and Demolition Surveys for private companies, employers and homeowners. 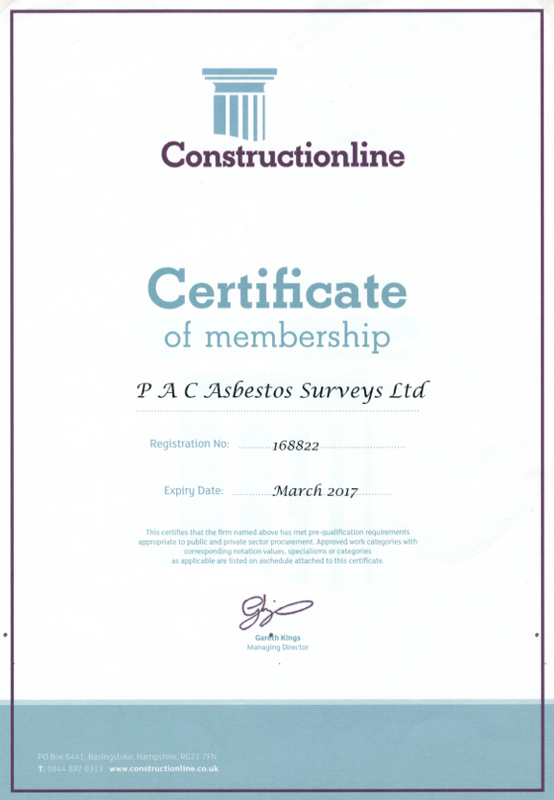 PAC Asbestos Surveys Ltd is an established business, with offices in Greater Manchester and West Yorkshire. Paul Crane, business founder, offers the expertise of independent, specialist services that are undertaken by fully qualified experienced surveyors who will assist you in your legal duty to manage asbestos in your premises. PAC Asbestos Surveys provide services to meet all your asbestos management needs. With offices in Greater Manchester and West Yorkshire, PAC covers the whole of the UK. Mr Alker, Leeds; " Very professional service & great communication, kept me informed of progress - fast efficient service"
T.Matejak Bradford; "Thank you Paul, I would not hesitate to recommend or call you if required"
Mr Calverley Huddersfield: "Thanks for all your help and advice today"
‘Asbestos-related diseases kill more people than road traffic accidents in the UK each year’. (www.bbc.co.uk/news/health-18456555) There are statutory requirements in place regarding non-domestic premises and employers, to ensure that people are protected from asbestos. There are no legal requirements for homeowners to have asbestos surveys, however recent reports suggest that it is advisable. Click the image above for more information. We offer fully qualified experienced surveyors who will assist you in your legal duty to manage asbestos in your premises. We operate Nationwide with the flexibility to work evenings and weekends to suite your needs. We are often asked a range of asbestos survey related questions, you can find some of the answer to these asbestos questions below. If you have any other questions about asbestos surveys and your role, please contact us. An Asbestos Survey allows you to effectively manage asbestos in your building, premises or home by providing accurate information about the location, amount and type of any asbestos-containing materials (ACMs). The person in charge for maintenance (in relation to to non-domestic properties) must either arrange an asbestos survey if ACM's are suspected within your premises or, you may instead choose to assume the waste case scenario that there is widespread ACM's in the premises and you would then need to take all appropriate action for any work that takes place. We always state that it is much easier to have an in-depth asbestos survey carried out to determine whether asbestos is present and the condition of this within the premises. An in-depth asbestos survey can help provide enough information so that an asbestos register, risk assessment and management plan can be prepared and implemented. The Asbestos Survey usually involves taking samples and analysing these to determine if the presence of ACM's exist. We fully recommend that only fully competent and qualified asbestos surveyors handle asbestos surveys so that all legal requirements are met and adhered to. After an asbestos survey has been completed the surveyor will then produce a report detailing the exact findings and recommendations.. This information can help you prepare an asbestos risk register. What Is The Purpose Of An Asbestos Survey? The purpose of an asbestos survey is to help a duty holder manage the asbestos on their premises. Asbestos surveys are required to provide sufficient information for: an asbestos register and plan of action to be prepared, a suitable risk assessment of the work that needs to be carried out and a written plan of action to allow duty holders to manage the risk to be produced. 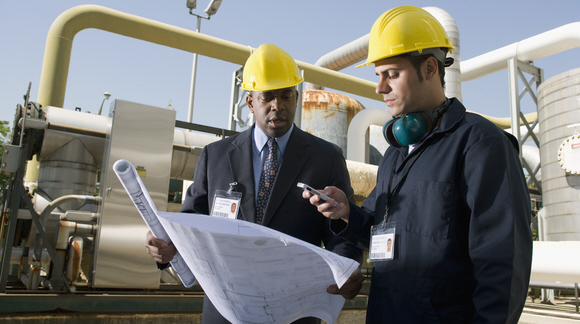 •	it must locate and record the location, extent and product type of all presumed or known ACMs, as far as reasonably practicable; •	It must inspect and record any useful information on the accessibility, condition and surface treatment of all known or presumed ACMs; •	it should also determine and record all asbestos types, either by sample collection or making a presumption based on the appearance of the product etc. •	where it has been confirmed in a lab analysis that asbestos is present in a similar construction material; •	if a material is known to commonly contain asbestos in the manufacturing of a product (eg corrugated cement roof and wall sheeting, cement gutters and drainpipes, cement water tanks, ceiling tiles, insulating boards); •	where materials surveyed have the appearance of asbestos but no sample is taken. 2. A ‘Default’ Situation: This case us for materials that are presumed to contain asbestos due to lack of evidence (eg no analysis) to confirm there is no asbestos present. Or where the duty holder or surveyor has decided that It is easier to presume certain materials contain asbestos under the planned management arrangements. This means that many non-asbestos materials will also be presumed to contain asbestos, even if they don’t, using this system. This default applies to areas that cannot be easily accessed or inspected. In this situation, any area not accessed or inspected must be presumed to contain asbestos unless there is strong evidence that it does not. If you own or are in charge of a property which was built before the year 2000, it may contain asbestos containing materials (ACM's) within it. In the UK it was not until August 1999 that asbestos became a prohibited substance. This is why we strongly advise that extra care and attention is taken when carrying out building work on properties built before this date. What Does A Domestic Asbestos Survey Consist Of? Although there is no legal requirement for you to carry out a domestic asbestos survey, there is still a chance that asbestos is present in a domestic property and this can complicate the buying and selling of your home. Often, regular building surveyors will incorrectly presume that there is asbestos present in a building because of suspect materials that were used to build it. This can lead to a devaluation of your property or it becoming undesirable to potential buyers. Of course, you don’t want this happen and it can be avoided by commissioning a full asbestos survey for your home. It will also allow you to get a head start on any work that needs to be done to manage potential asbestos issues before they can be used against you. Yes, you are legally entitled to remove asbestos yourself, however we strongly recommended that you do not do this. According to the Occupational Health & Safety Regulations 2007, an unlicensed person can remove asbestos material but the area cannot exceed 10m2 and the total time that you are exposed to the asbestos cannot be more than one hour in a seven-day period. If you do choose to remove asbestos yourself, then we strongly encourage you to be careful and follow regulations to the letter, ensuring safe practice. As you will know, asbestos fibres are very dangerous and pose a risk not only to you but to your friends, family and neighbours. Additionally, if the asbestos is loosely bound then you need to contact a licensed professional, as they will need to remove it and you shouldn’t risk your own health. However, if you are removing any firmly bound asbestos then we suggest that you wear disposable protective equipment that is recommended for your protection. When disposing of the asbestos you have removed, you should double wrap it in strong, thick plastic bags and clearly label them “Asbestos”. The material should be disposed along with all of the breathing apparatus and protective clothing that you have used at the appropriate waste treatment centre. When you are looking into asbestos surveys, you will find that there are two main types that are designed to suit different environmental scenarios. We are able to provide assistance to ensure that we conduct the right survey for your individual needs. We have designed out reports to provide clear and concise information and recommendations that will allow you to comply with the current asbestos regulations. An Asbestos management survey is the standard asbestos survey and one which we get asked to conduct the most. The purpose of this is to locate the presence and extent of any suspect ACMs in your building. We not only assess the condition of the ACMs, we also look at potential scenarios including what would occur if this was damaged or disturbed during normal occupancy, as well as maintenance and installation to ensure everything is safe and legal. An Asbestos refurbishment and demolition survey is needed before any refurbishment or demolition work is carried out. These types of surveys are used to locate all ACMs in the area where refurbishment work will take place or, if demolition work is planned, in the whole building. Due to the nature of this work the asbestos survey will be fully intrusive in order to gain access to all areas to ascertain if ACMs are present and to what degree. An asbestos refurbishment and demolition survey may also be required in other circumstances, i.e. when intrusive repair of maintenance work needs to be carried out for plant removal or dismantling. An asbestos management survey is generally referred to as a ‘standard survey’. The purpose of an asbestos management survey is to locate (as far as reasonably practicable) the presence of any potential asbestos containing materials (ACMs) in the building. The survey will also identify ACMs which could be damaged or disturbed during normal everyday occupancy within the building, ongoing maintenance activities and an overall assessment of the condition of any ACMs found so a management plan can be put in place. What’s involved with an asbestos management survey? Asbestos management surveys can include some intrusive work and can cause some disturbance. The overall level of intrusion will differ between sites and different factors will apply, such as construction methods, building type and accessibility to the building or buildings. Our expert surveyors will inspect all areas of the building, or the required area, to locate any or all ACMs (asbestos-containing materials). The survey is designed not to cause any major damage to the building or area in which the survey is taking place. An asbestos management survey will usually include a general inspection of all floors, ceilings, surface levels, walls, suspended ceiling voids, loft voids, etc. The Asbestos Management Survey, where required, will also include the collection of all suspect materials, and the analysis of these materials, to confirm whether asbestos is present or not. As part of an asbestos management survey, material risk assessments will be undertaken on all suspect materials. The material risk assessment works out the chance of these materials releasing asbestos fibre if they were to be damaged or disturbed. This initial assessment will then help you or the duty holder to evaluate and produce a plan for managing asbestos. Asbestos management surveys can also cover everyday maintenance and repair work in a building. However the duty holder in charge of the building(s) should be aware that where extensive maintenance or repair work is required, then an asbestos management survey may not be the best way to ensure adequate information to enable works to start and/or proceed. More intrusive, and possibly destructive, investigations may be needed in the form of an asbestos refurbishment survey. An asbestos refurbishment survey should be undertaken before starting any potential work which will disturb the fabric of the building. As mentioned above you require an asbestos refurbishment survey before you undertake any intrusive, or destructive, refurbishment work. The current refurbishment asbestos survey guidance clearly states the difference in the level of survey needed for refurbishment works and for demolition of a building. As a duty holder you will need an asbestos demolition survey (more information on this can be found on the next FAQ below) if you’re proposing to entirely demolish a building. Asbestos refurbishment surveys are used to locate and describe (as far as reasonably practicable) all asbestos-containing materials (ACMs) in an area or building where refurbishment work is planned. An asbestos refurbishment survey may also be needed in other circumstances e.g. if more intrusive maintenance and repair work is planned, or for plant removal or dismantling. What’s involved in an asbestos refurbishment survey? Asbestos refurbishment surveys are fully intrusive, and involve quite destructive inspection methods to allow our surveyors to gain access to all areas, including those that may be difficult to reach. As well as this we utilse quite aggressive inspection techniques to lift up carpets and floor tiles, break through ceilings, cladding, walls and partitions, and open up floors - we advise that asbestos refurbishment surveys should generally only be completed in unoccupied areas and the area should not be operational, in order to minimise risks to people on the premises. If an asbestos refurbishment survey is being undertaken is so that the asbestos can be removed then the survey will not normally assess the condition of it – except to indicate areas of damage, or where additional asbestos debris may be present. However if the removal of asbestos may not take place for some time, the condition of asbestos-containing materials will usually be assessed, so that a full asbestos management plan can be implemented. Before all demolition work takes place an asbestos demolition survey is needed to be conducted. The current asbestos demolition survey guidance makes a clear regard to the difference in the level of survey required for refurbishment work and for complete demolition of a building. In line with asbestos guidance, ‘demolition’ is only utilised as a description if the entire building is to be demolished and completely removed. As such, when an asbestos demolition survey is requested, the scope of works is self-explanatory. An asbestos demolition survey must identify all asbestos-containing materials (ACMs) within all areas of the building (as far as is reasonably practicable). 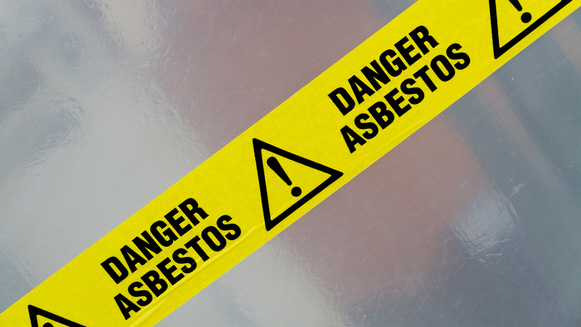 What’s involved with an asbestos demolition survey? Asbestos demolition surveys are fully intrusive and involve extensive destructive inspection methods to gain access to all areas, including those that may be difficult to gain access to. Aggressive inspection techniques will be required to break through walls, ceilings, cladding and partitions, lift up carpets and floor tiles and open up floors. We only conduct asbestos demolition surveys in unoccupied buildings. The purpose of this is to minimise risks to people within the premises, as excessive damage to the building is likely to occur. The building or area should not be operational, and all furnishings should be removed. As with refurbishment asbestos surveys, a demolition asbestos survey, then we will not assess the condition of the asbestos, we will simply remove the ACMs from the building.